After 44 years in business, Man’s Country has decided to close its doors forever. But not without going out with a bang, by having a 13-hour disco party that beings New Year’s Eve. 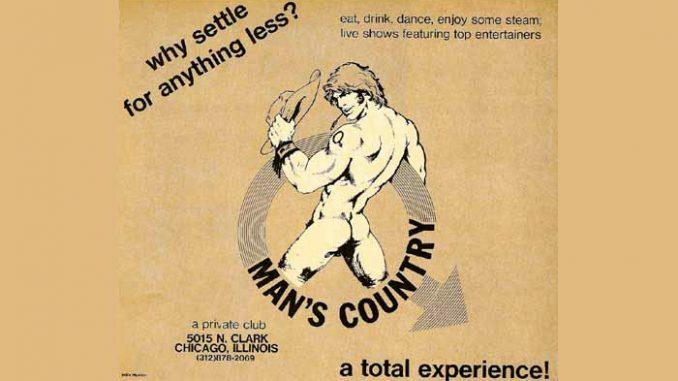 The final New Year’s Eve bash, called “Loose Ends: The Man’s Country Chicago Closing Party,” is open to “all genders and gender non-conformists,” according to its Eventbrite page. This 13-hour “disco rave” begins at 11 p.m. Sunday and is slated to end at noon Monday. That’s the one Obama and Rham Emanuel went to, isn’t it?